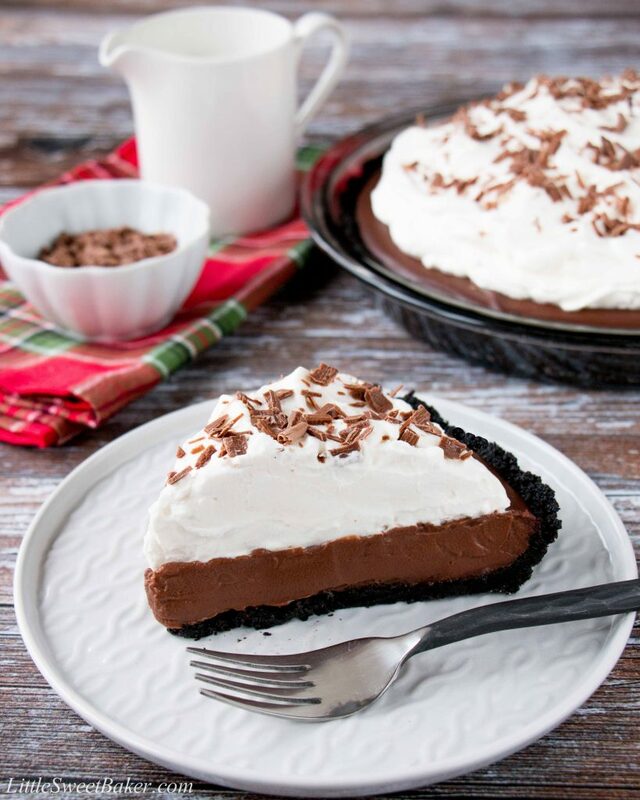 This irresistible chocolate pudding pie is filled with a rich and silky pudding over a chocolate cookie crust. 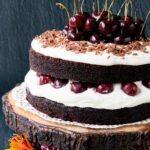 It’s topped with billowy clouds of whipped cream and sprinkled with chocolate shavings. It’s wholesome homemade goodness at its best! This is a sponsored post. 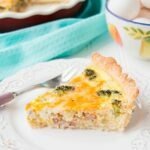 I had the wonderful opportunity to work with Dairy Farmers of Canada to share this recipe with you. Though monetary compensation was received, all opinions are my own. The 2018 Milk Calendar is here! I remember even when I was a kid I would get excited about the iconic Milk Calendar. I loved gazing at it, dreaming about the recipes, and admiring the beautiful photography ( I guess I was always meant to be a food blogger). Once I started cooking for myself, I would anxiously wait every year for the calendar to come out in the newsstands. The Milk Calendar started in 1974. It was an instant hit with Canadian families and continues to be a go-to source for many home cooks. The 2018 Milk Calendar features 19 new nutritious, easy-to-make recipes, insightful cooking tips, and share-worthy recipe variations. 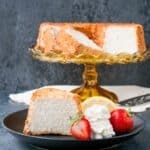 Dairy Farmers of Canada believe that the tradition of great-tasting, well-balanced and easily made recipes can be seasoned with new twists on beloved classics. This is showcased in this 41st edition of the Milk Calendar, which celebrates the art of hand-crafted dishes using local and sustainable ingredients. Time-honored recipes receive a seasonal refresh, including mouth-watering dishes such as Oven-Roasted Cauliflower Soup, Super Easy Chicken Parm, and Pork Souvlaki with Halloumi Pepper Skewers. From winter comfort food to summer barbecues; from breakfast to dessert, and everything in between, these 19 new recipes are a cinch to whip up while ensuring Canadian families receive the goodness of Canadian milk in their diets. Cooking and baking with dairy products is not only nutritious and an important part of maintaining a healthy lifestyle; it also elevates your dish by adding flavor, richness and creaminess to whatever it is your making. 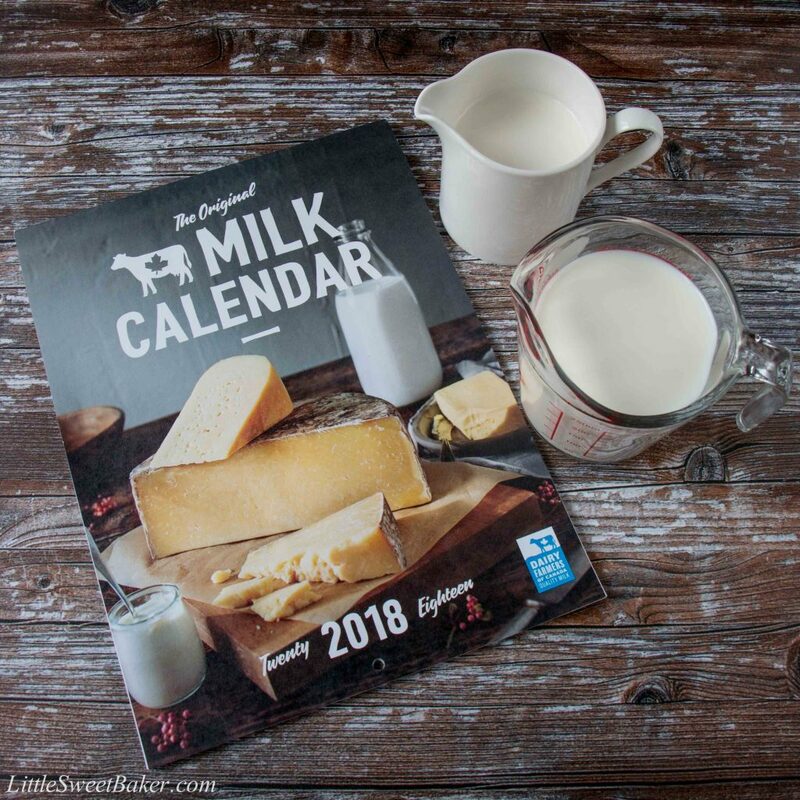 To find out how to get your copy of the calendar and discover more recipes, along with videos, food pairings and entertaining tips, visit milkcalendar.ca. This recipe starts with fresh milk cooked over the stovetop with some cocoa powder, cornstarch, sugar, an egg and chocolate. You add in some vanilla for flavor and butter for richness. 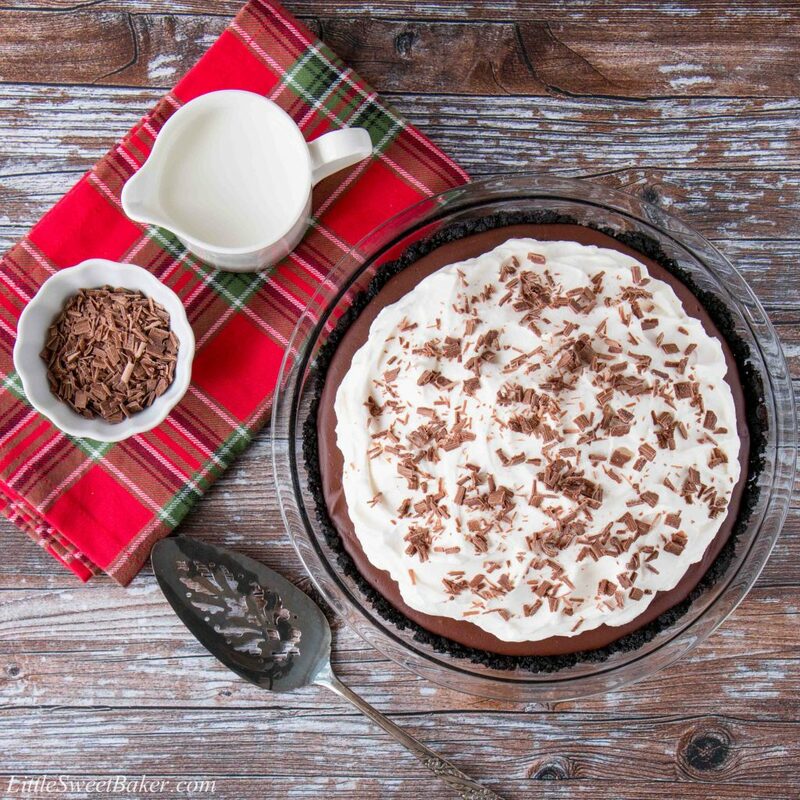 Pour the warm pudding over a lightly baked chocolate cookie crust. Once the pie is set, beat the fresh whipping cream with some sugar and vanilla, spoon over the top of the pudding. Then lastly grate some chocolate over the top and you’ve got a heavenly dessert ready to be served. 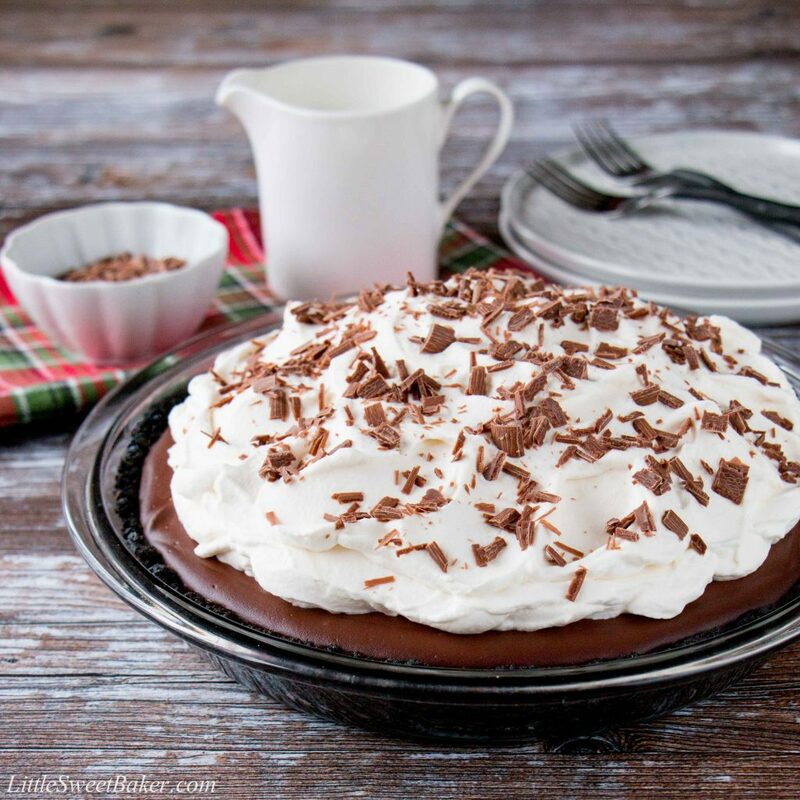 This Mile-High Chocolate Pudding Pie is ultra-silky and chocolatey. 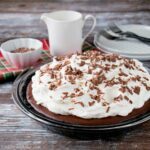 The chocolate cookie crust gives it an even bolder chocolate flavor while the whipped cream on top gives it a lightness to the texture. 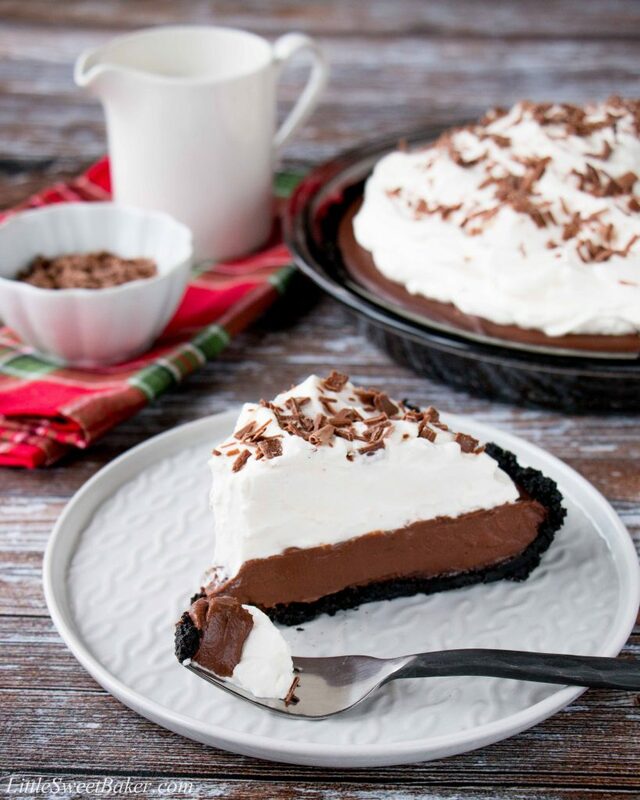 This irresistible chocolate pudding pie is filled with a rich and silky pudding over a chocolate cookie crust. It’s topped with billowy clouds of whipped cream and sprinkled with chocolate shavings. Melt butter in a medium saucepan set over medium-low heat. Remove from heat; stir in crumbs. Turn into a 9-inch (23 cm) shallow glass pie plate. Press evenly up sides and on bottom of pie plate. Bake for 8 min in centre of preheated oven until set. In a medium saucepan, whisk cocoa with sugar, cornstarch and salt. Whisk in egg as best as you can; add milk. Continue to whisk until smooth and no lumps remain. Set over medium heat. Stirring continuously, bring to a boil, about 3 to 5 min. Filling will thicken and bubble. Reduce heat to low; simmer gently and stir for 1 min. Add chocolate and butter. Stir until melted. Stir in vanilla. Turn into slightly cooled pie shell. Refrigerate for 2 hours or until cold and set. Beat cream with sugar and vanilla until stiff peaks form. Spoon onto chilled pie. Swirl. Grate chocolate over top if using. Refrigerate until ready to eat. Best eaten within a day of making.